A few weeks ago, we like many others across the United States celebrated The Fourth of July. My family had a fun day. We hit a little local community celebration, watched some fireworks and then played with Sparklers. It would have been a perfect All-American day had we had apple pie as well. As part of our celebration re-cap I had posted the photo above onto my facebook page and had a few people ask how we got that photo. So, in order to answer their questions I have asked my better half, Mr. K himself, to share all the details and how-to's on how to do light painting. Light painting is super fun. 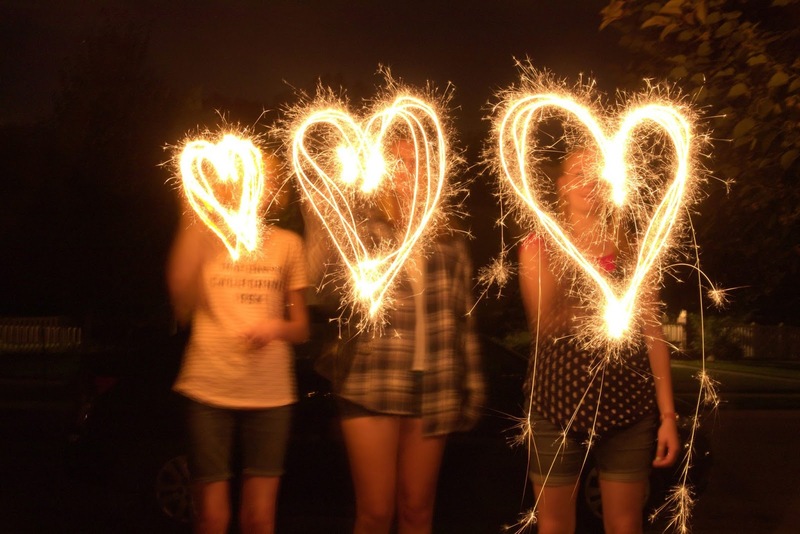 You can do it with sparklers, like above or even with flashlights like in the photo below. And, depending on the hue of the light bulb in the flashlight, you will get a different look. 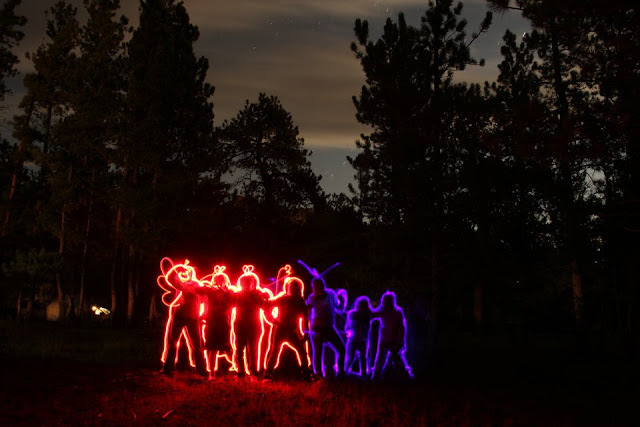 Light painting can be a fun and unusual way to take photos. You don’t really need a lot of equipment, and it’s very experimental – you don’t know what you’ll get until you close the shutter and see what happened. * If you don’t have one or your camera doesn’t allow using one, you can get around this by using Manual mode and setting a long shutter speed. See below. First, you need a very dark location where you won’t have accidental light sources (headlights, other peoples’ flashlights, lightning, moonlight, streetlights). You will want to have your own flashlight so you can get around and so you can see to focus and set your camera. Remember, you’ll be leaving your shutter open for many seconds, possibly even several minutes, so the location needs to be really dark. Even the light in the sky can register in long exposures, which can be a cool effect. In fact, if you point your camera toward the North on a clear night, the stars will probably show and will paint circular trails! Next, you need to set up your camera. 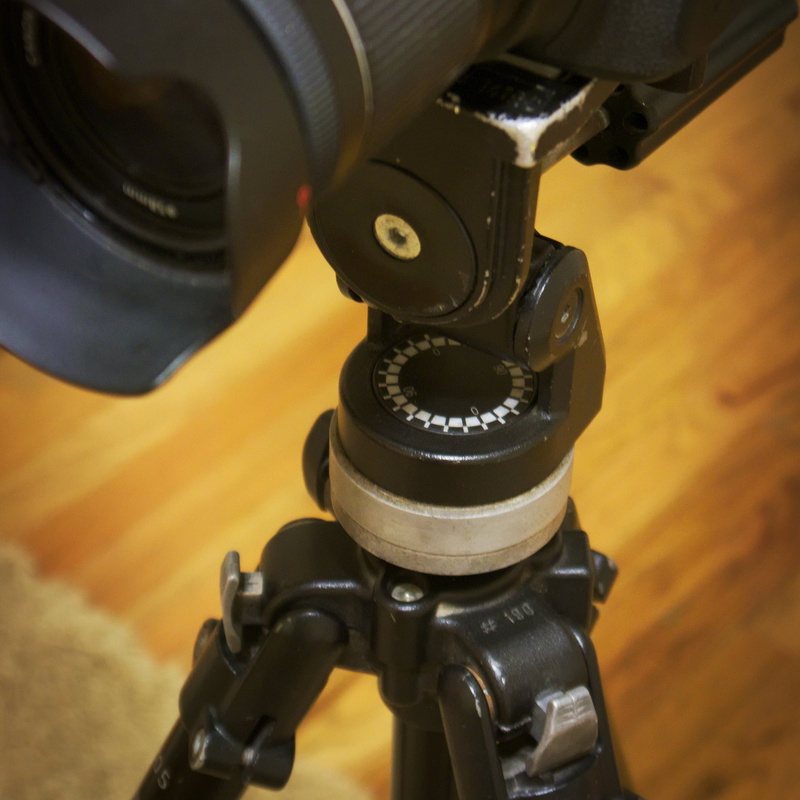 Put your camera on your tripod. Next, set your camera’s ISO sensitivity. Unless your light source is extremely dim, set your ISO to the lowest your camera will allow. Most cameras have a minimum of ISO 100, ISO 160, or ISO 200. After you set your ISO, set your white balance. If you are using a LED flashlight, set your white balance to daylight. If you are using a traditional flashlight with an incandescent bulb, set your white balance to tungsten (incandescent light bulbs). If you are using sparklers, set your white balance to tungsten or daylight. With sparklers, daylight white balance will result in more orange trails of sparks, and tungsten white balance will make them a little whiter. Of course, if you have a camera that can shoot raw files and you know how to use them, shoot raw. If you show raw files, you don’t need to worry about choosing a white balance – you can pick the one you like best later! 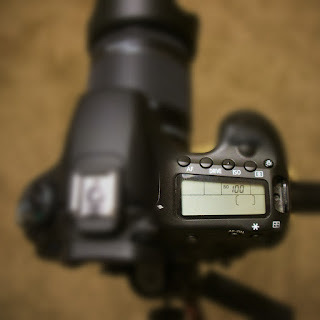 Next, set your exposure mode and your aperture. If available, use Bulb mode. 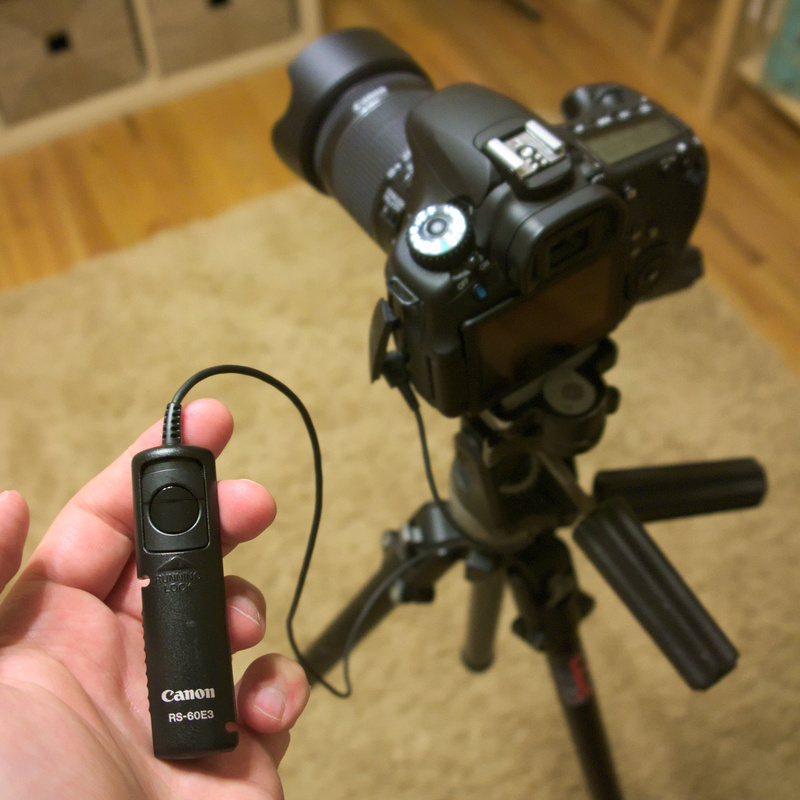 In Bulb mode, the shutter will stay open as long as you hold the shutter release button down. 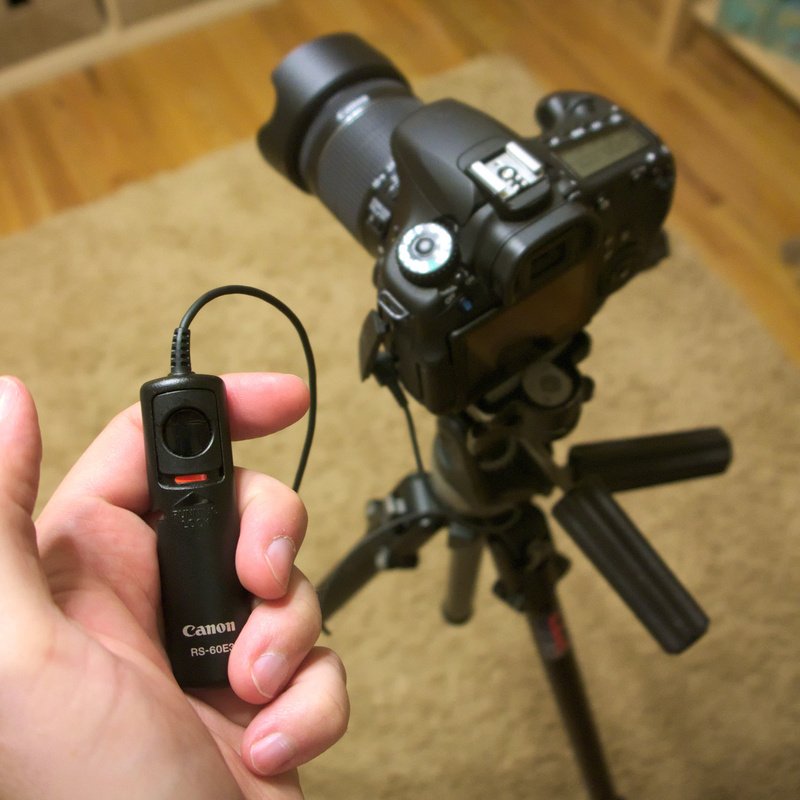 This is why you need a cable release – you will shake the camera if you hold the shutter release down with your hand. Set your aperture to f/5.6 or f/8.0. You may need to experiment a bit on what aperture works best. If your light trails are too bright, use f/8.0 or even f/11.0. If they’re too dim, you may have to switch to even f/4.0. What do you do if you don’t have a cable release? Easy. Switch to Manual mode instead. Choose a very long shutter speed, like 15 seconds or 30 seconds. Just estimate about how long it’ll take you to do the painting you want and choose a shutter time that allows that, plus a bit of a buffer. Plug in your cable release (if you have one). 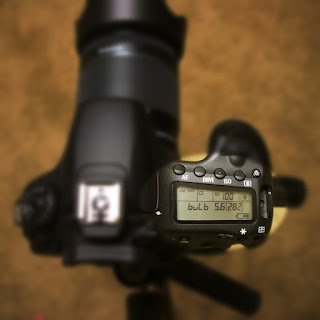 Turn off your autofocus (IE: switch to manual focus mode). Attempt to frame the area you will be painting in. This can be a little tough in a dark environment! If your camera has a live view mode and you have a helper, they can walk around the area with the flashlight so you can get an idea of what will show in the photo. Due to increased depth of field and less strict focusing accuracy requirements, wider angle lenses are a little easier to work with. Once you have framing set, focus at the distance you will be painting. If you have an assistant and your camera allows live view, have them take the flashlight with them and stand in the location where painting will occur. Have them illuminate themselves and use them as a focusing target. If you don’t have live view, you may have to guess. You could try turning on the autofocus if you have an autofocus illuminator, then switching back to manual when focus has been achieved. Now, you’re ready to paint! When you lock open the shutter, move yourself as quickly as possible into the area where you want to paint. Turn on your light source (flashlight) and begin painting by moving it around. If you move it fast, the trails will be dimmer. If you move it slower, the trails will be brighter. Also, remember that you want to be invisible, so keep the light source away from you as far as possible, and make sure you are not between the light source and the camera (you’ll be blocking the light). For sparklers, I’ve found it best to have the person using the sparkler stand where they need to, light the sparkler, then open the shutter. Immediately upon finishing painting, close the shutter or you’ll have lines where the sparkler operator walked after painting. If you want to have separate areas painted by the sparkler without connecting lines, you can put your hand in front of the lens while the sparkler operator moves, then uncover the lens to continue painting. You can even mix flash in with your light painting. For instance, lock the shutter open, walk around with your flash and set it off here and there by pushing the test button. 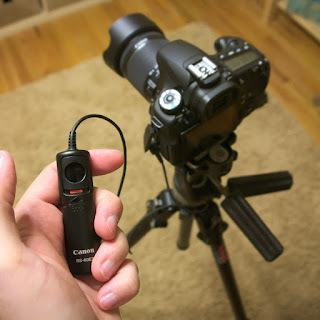 This works best with a flash that has manual power controls. You can even put colored filters over the front of the flash, blasting colored light into selected areas of the scene. You’ll probably never really know what you will get until you see the finished photo. Experiment a bit. Once you have a few photos under your belt, you’ll probably get some ideas. 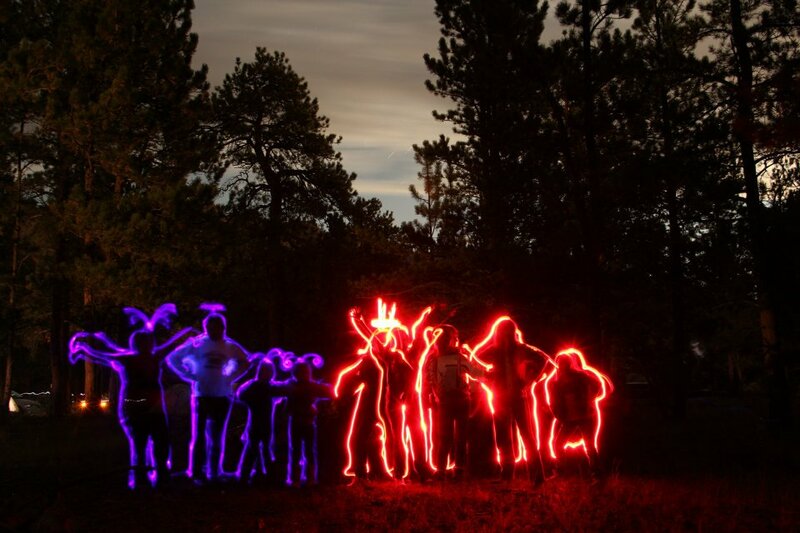 Try different light sources, like various colored flashlights, flashing lights, or even your smartphone. You can trace things in the air or just draw shapes. Have fun!